When it comes to woodwork, one of the must-have tools is coping saw. 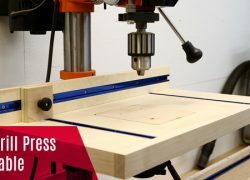 If you are a woodworks enthusiast, you must have one or more best coping saws for making all kind of curved and turning cuts on wood, plastic and even metal. If you are not familiar with the tool, you may ask “what is a coping saw?”. A coping saw is a cutting blade installed on a U-shaped metal frame with a handle that is often made of wood. Being a basic, small and lightweight tool, it has no room for improvement. So, it is wise to measure your needs before you go shopping and buy the one that meets your needs. Well, that might be overwhelming to some of us. No worries! We have picked some top-ranked coping saws to help you with the selection. We can assure you that we did proper research and consider every aspect of the saw so that you can choose any of them without worrying about anything. Let’s dive in! This 6.5-inch coping saw is strong and long-lasting. Its frame is made of nickel plated steel. The handle is made from beech wood and it is orange lacquered. So, it will never hurt your hand even if you use it for hours. 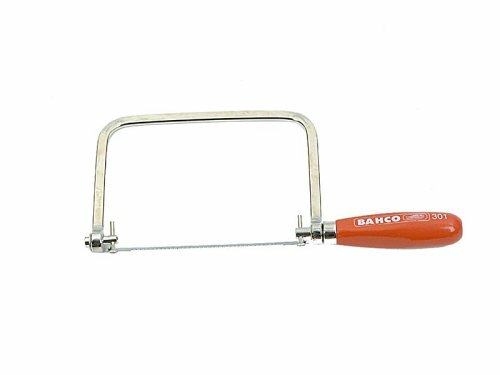 BAHCO 301 6 1/2 Inch Coping Saw is made of hardened and tempered carbon steel. The blade has 14 teeth per inch. It is well-fitted on the retaining pins. 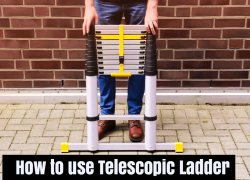 It can be turned 360Degree easily. You can easily interchange the blades if you want. If you are a new woodworks enthusiast, I would suggest BAHCO 301 as it is the best coping saw since 2004. People who have been using it for years strongly suggest it. We mentioned earlier that a coping saw has no room for improvement. So, you should buy the one that is already proven to be best in the market. But if you didn’t like it any reason, don’t worry. We have some other options for you. Pick the one that meets your demand. Robert Larson 540-2000 is almost same to BAHCO 301. Robert Larson 540-2000 is made in Germany. The black handle is wooden and comfortable to hold. You can easily adjust the tension by turning the handle. The frame can hold most of the standard coping saw blades with pins. It comes with a blade. The blade length is 6 inches and cutting depth is about 5 inches. You can adjust the blade to any angle to make a perfect cut easily. Robert Larson makes a lot of tools and always ensures their product quality. But when it comes to coping saw, they are always on the best seller list. Have a try, you will agree too. The two we have just talked about come with a wooden handle, but Stanley 15-104 Fatmax Coping Saw comes with plastic and rubber handle. Rubber overlay and cushion grip handle make it very comfortable to use it for hours while it also ensures you have fully controlled cutting on wood, plastic and metal. Stanley 15-104 Fatmax is a 4-3/4 deep and 6-3/8 long coping saw. This made in China coping saw comes with a highest-grade carbon steel blade and its length is 6.5 inches. It also provides a limited lifetime warranty in case of deficiencies in material and workmanship. I think you know most of the companies don’t have any warranty for this kind of tools. Stanley made an exception and that guarantees they are really selling a quality tool. IRWIN Tools ProTouch Coping Saw is our next selection. Irwin Tools is quite different from others. They tried to introduce some unique features that ensure durable use such as Flat-Bar frame and DuraSteel pins. 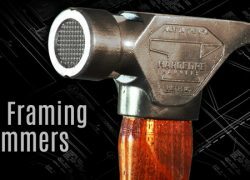 IRWIN Tools calls their handle ProTouch handle that gives extra comfort. That means even if you use it for a long time, your hand will not hurt. IRWIN Tools ProTouch’s frame depth is 5.5 inches and the blade length is 6.5 inches. The high-speed steel blade has 17 teeth per inch. The pins keep the blade in place no matter how solid the object is. It also has a lifetime warranty. Olson Saw SF63510 Coping Saw is a highly recommended, top-rated and well-priced coping saw in the market right now. Olson Saw SF63510 comes with the Olson's 15 TPI blade. The blade size is 6.5 inches. If you tension the blade properly at both ends using the handle and thumb screw, you can cut almost everything easily. 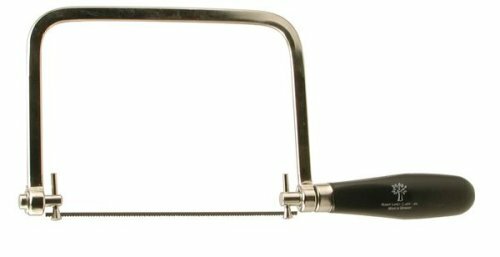 This is a sturdy and professional standard coping saw is 360-degree turnable in any direction. The handle is made of wood. It the best coping saw for the price. 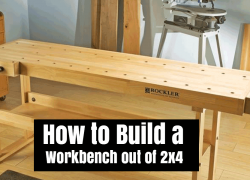 Absolutely perfect for any woodworks enthusiast or DIY lover. I can assure you that if you buy Olson Saw SF63510, you get what you pay for. Eclipse 70-CP1R Wood Handle and Steel Frame Coping Saw is brought to you by Eclipse. Its name is quite self-explanatory. I mean it comes with a wooden handle like Olson Saw SF63510 and black steel frame. The saw is made in Sheffield, England. Eclipse 70-CP1R takes standard 6.5-inch blades and it can be turned to any angle for getting your desired shape in wood and any interior cut-outs. Eclipse 70-CP1R is a perfect coping saw for woodworks. 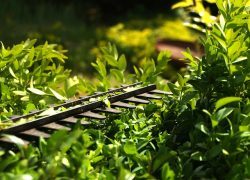 But if you usually use plastic or metal, I would suggest 1st, 2nd or 5th products (we reviewed above) as they are more suitable and specially made for all wood, plastic and metal. Chop Saw Vs. Miter Saw| What About Their Differences? Reaching to a fine end product of wood used to be tough in the past days. Today, thanks to the many power tools available on the market, professional-looking wood surfaces can be achieved by almost anyone. Among the tools that have emerged to give a professional touch in the making of wood products are the chops and miter saw. Though they are handy wood-working tools, they tend to confuse many of us. If you are you also confused, this article is for you. 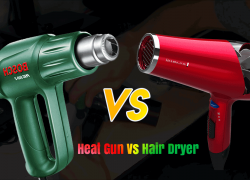 In this piece work, we are going to clear some of the confusions by covering each tool personally, and we will give some areas we think they differ from each other. A chop saw is a mechanical kind of saw that is very light in most cases. It works same to a circular saw with a spring-loaded arm that swings in the circular motion. This whole mechanism is supported by a metal base and table. It is known to be among the most amazing and efficient sawing tools that can be easily used to make square cuts. Some people call it a dicing saw and is considered a power tool. Other models are bigger and stronger and mostly used for industrial or commercial purposes that require large processing of materials within a short time. Some models come mounted on the workbench, while others come in a compact design that makes them highly portable. It is important to remember that chop saws are generally designed for work that requires less accuracy and where finishing is to be done by another tool. What Are Some Of The Applications Of A Chop Saw? These saws allow precise cuts in almost any angle and make life easier for everyone. If a homeowner makes a remodel in a room or decides to change the decor throughout the house, chop saws can be used for a variety of required projects. They save time when forming and trimming the walls, ceilings and door frames. With the capability of handling materials of up to 8 inches, this type of saw will be a valuable tool when designing additional rooms or walls in your house. Whether you will be remodeling or improving on your basement, it will serve most needs. They cut faster and more precisely than any hand or circular saw by guiding the blade through the material and do not push it. As they support different kinds of blades, they are suitable for a variety of wood or metal applications. A miter saw is a kind of saw that has many similarities with a chop saw. It can help you create a variety of useful and attractive joints and cuts so you can create a wider range of wood projects. With miter saws, you can make the so-called oblique cross-sections. Imagine an ordinary picture frame. When you create a picture frame, start with a length of wood that you then cut into four pieces that join together to form the frame. In some cases, the pieces of wood may be straight up and down at ninety degrees, but typically they are connected at an oblique angle. This is called a miter joint, and it is considered a more attractive joint than the ninety-degree type. Miter joints are not only considered more desirable for their looks but are the only option on some woodworking projects. What Are Applications Of A Miter Saw? These miter saws are perfect for your daily crafting needs as you can do almost any kind of project with this power tool. You can cut frames that are designed for cabinets, doors, and windows, while you can create crown shapes. You can expect them to give you precise cuts and smooth angle cuts. Also, it is possible to achieve the same kind of angles every time, since it essentially gives you the opportunity to perform repeated cutting. As it is also available in different types, the basic model can be used for achieving cross cuts and miter cuts. There is also a compound one that is very sophisticated. Though they tend to be the same thing; a fact that has made many people to confuse them, in the real sense, they have some differences. You doubt? Below, you will be amazed by their differences. So let us look at some of the areas of disparity. 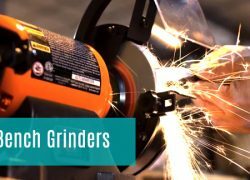 In most cases, a chop saw come equipped with large motor and blades that make it capable of cutting through hard materials such as metal plates. On the other hand, a miter saw come with finer blades explicitly designed to cut through wood and make some angle cuts in smaller molding. They also have a big difference in the cutting degrees. The chop saw is only capable of making straight 90-degree angled cuts while a miter saw can rotate and make 45-degree angled cuts. There are other miter saw models that come with swiveling axis or shaft thus capable of cutting through different angles. When it comes to accuracy, a chop saw ranks after a miter saw. Why? It needs a professional to feed lumber for accurate cuts. For a miter saw, which is stationary and only its saw head is what moves, achieving accurate cuts isn’t a challenge. A miter is capable of making angled cuts where a chop saw can’t. This implies that a miter saw can substitute a chop saw. It requires a professional to feed lumbers into a chop saw. To operate a miter saw, one doesn’t need a professional and it is more comfortable. Some Of The Commonly Asked Questions. 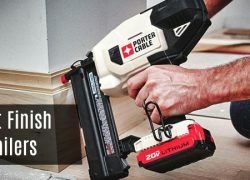 In this section, we respond to some of the questions that have been asked repeatedly by readers and those trying to decide between chop and miter saw. Why Should I Choose Chop Saw Over Miter Saw? The chop saw is known for its greater cutting capacity and can cut the high-performance materials that a chop saw cannot. This makes them suitable for cutting wooden boards and metal at 90-degree angles. My Miter Saw Got Locked, How Can I Go By? 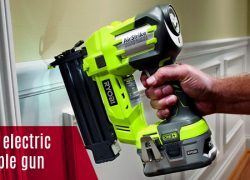 Though this will profoundly rely on the type of miter saw you have, most of them have unlocked key located near the vertical pivot point of the cutting head. 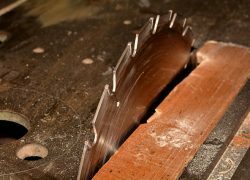 How Safe Is A Chop Saw? The chop saw isn’t 100% safe. The high power and larger blades make it a high-risk tool that needs a lot of caution during its operation. It is also risky to feed material using bare hands. From the above information, it is now clear that whether you choose a chop or miter saw, they will both have the place in your development undertaking. If you don’t have enough money to spend, and you need the saw that can cut but have a limit over the material, you can go for a miter saw. On the other hand, if you intend to work on hard materials such as metal, at that point a chop saw should be your preference. As the market is full of so many options and endless confusion, making the right purchase is really tough. I face the same problem whenever I go shopping. Everyone does; more or less. If you choose one form our selections above, you are saved! Otherwise, the same thing can happen with coping saw purchase too. 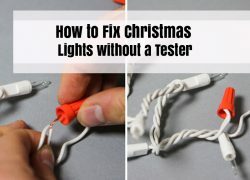 It might be a 10-20 bucks tool, but you don’t want to regret wasting them on something you would throw away just after using for the first time. I mentioned earlier in this article, being a basic, small and lightweight tool, a coping saw has no room for improvement. So, it is important that you make the right purchase. How can you be sure that which one you are buying is the best coping saw, huh? Well, that is not rocket science, you just need to check important things we already focused on and consider your demand. Please check the FAQ section for more info if you haven’t yet. We have reviewed some of coping saws in the market. But you might have some questions in your mind that need to be answered to help you make the right decision. Let’s see some most frequently asked questions about coping saw and their answers from industry experts. 1. What Can A Coping Saw Be Used For? Ans. A coping saw is a cutting blade installed on a U-shaped metal frame with a handle that is often made of wood. Coping saws are used to make shapes and cut-outs mostly in interior woodworking, carpentry and DIY projects. 2. What Is The Difference Between A Coping Saw And A Hacksaw? Ans. The hacksaw blade is installed with the teeth pointing outside, but the coping saw blade teeth are pointing inside and towards the handle. So, with a coping saw, you can cut any shape in inner parts. On the other hand, a hacksaw is especially for cutting metal straight horizontally or vertically from one side to another. 3. What Materials Can A Coping Saw Cut? Ans. Coping saws are specially made for cutting curves and shapes in wood and plastic. You can also cut aluminum and metal if you pick the right blade. But I would suggest using a hacksaw, it would be safer and easier. 4. Which Direction Does A Coping Saw Cut? Ans. Coping saw teeth point towards the object you want to cut. So, you need to cut forward. If you try to lift the blade the opposite way, it can be very difficult and destroy the shape or part of shape you have already made. Please be careful if you are using a coping saw for the first time. I would recommend watching some YouTube videos the demonstrate how to use a coping saw or asking someone who is good at using this kind of tools to show you. Pay heed to how they hold the saw, start the cutting, control the turns and pull up the saw. 5. What Are The Risks Of Using A Coping Saw? Avoid cutting materials thicker than 1 inch. Start slowly and check how it goes. When pulling out, don’t go to opposite direction. Wear heavy-duty gloves while using a coping saw. 6. Do Coping Saws Come With A Blade? Ans. Yes, all the coping saws we reviewed above comes with a blade. 7. How Long Is A Coping Saw Blade? Ans. Most of the coping saw blades are 6 or 6.5 inches. Make sure you pick the right size when purchasing extra blades. I would suggest getting at least 2/3 extra blades while buying the saw. You can thank me for that later! 8. Should It Be Considered Where My Coping Saw Was Made? Ans. Not really. I find all the coping saw brands are quite the same; they all make different types of saws you can choose from. The saws we reviewed above are made in three different countries. You can check them and see that where it is made is not something you should consider or worry about. 9. Which Is Better: Wooden Or Plastic/Rubber Handle? Ans. To be honest, I personally like plastic/rubber handle as it is more comfortable. 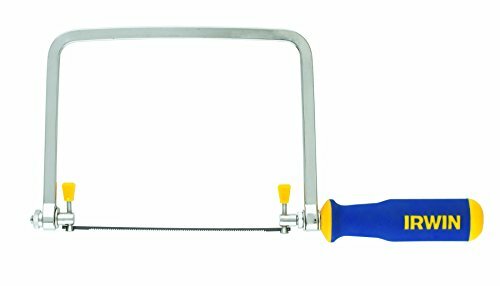 Stanley 15-104 Fatmax Coping Saw has plastic/rubber handle. Check out its review above. But most of the people prefer wooden handle because wood is strong and last long. Check the review section for more details and reviews. Well, I have already talked so much about this small tool! The reason is I want you get the best coping saw in the market. Pick one from our top 7 coping saw list or just follow our guideline to find the one that suits you best and meet your demand. And enjoy woodworking! Let us know which one you found the best and why? If you have anything to ask, say or share, please go ahead and write in the comment section below. We love to hear from our readers.